Last Game: Wednesday at home against the Hartford Wolf Pack, the Penguins won 4-3. Jeff Zatkoff picked up the win, his first since February 28 and Brian Dumoulin had three assists in the win. For Worcester, the Sharks were in Hershey Wednesday and won 3-2 in a shootout. Aaron Dell made 36 saves, Matt Willows and Travis Oleksiuk scored in regulation. Last Meeting: The Penguins were shutout 4-0 January 17 in Worcester. Troy Grosenick made 25 saves. Why you should care: Worcester comes in on a six game winning streak. They are just three points back of the Penguins for the 4 seed with a game in hand. 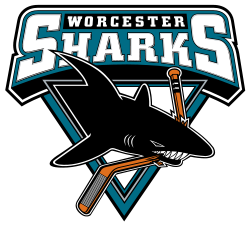 A win tonight by the Penguins takes that out of the equation entirely but beware, these aren’t your uncles Worcester Sharks. Other Game to Watch: Syracuse travels to Hartford tonight. Wolf Packs last gasp to make a run at the Northeast Division crown.